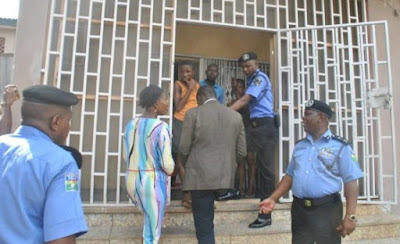 Lagos State Police Command, yesterday, rescued a 13-year-old girl, Nkechi Oseh, allegedly locked indoors by her madam, who travelled abroad, at their Adeniran Ajao Estate, Anthony, residence. It was gathered that the woman, who works with the Nigerian National Petroleum Corporation, NNPC, left the girl with two packets of cabin biscuits to eat. Nkechi said whenever her boss travels and locks her in, she resorts to drinking water from the toilet. According to her, she has been locked up at four different times since her uncle brought her from Igboju in Delta State. Nkechi is currently under the care of the child protection unit of the Ministry of Youth and Social Development, Lagos State, and Commissioner of Police, Imohimi Edgal, has vowed to probe the case.